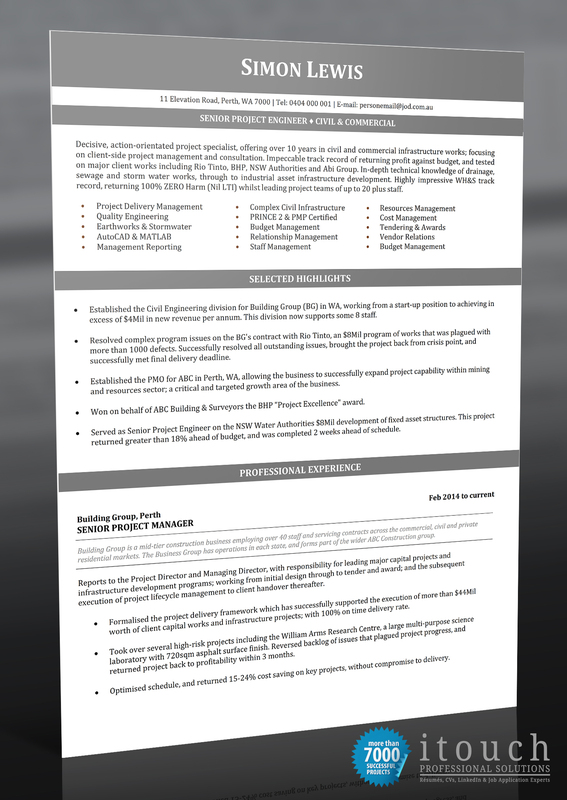 The above is an example Senior Project Engineer resume. Particular emphasis is made on project achievements coupled with core competencies and technical capability. Resume samples of this type are to demonstrate one particular layout.